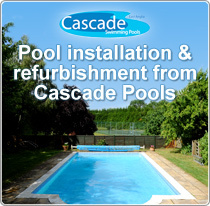 With a Block & Liner DIY Pool Kit from Cascade Pools you will have everything you need to build your own swimming pool – at an affordable price! The 12′ x 24′ pool size is great where garden space is limited. 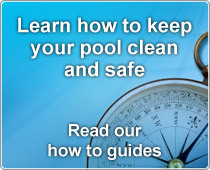 For strong swimmers why not compliment your pool with an Endless Pools Counter Current Unit – enabling you to swim without having to turn. 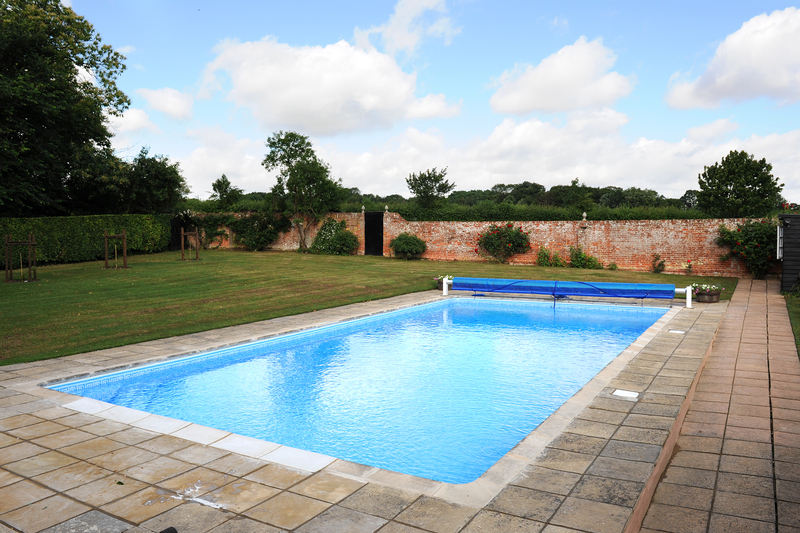 A swimming pool can be an enjoyable asset in anyone’s garden – holiday at home year after year! 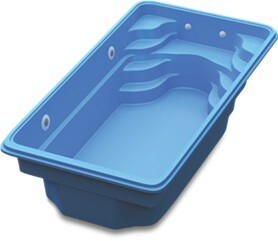 With a Block & Liner Kit the walls are constructed from solid concrete blocks and form the shape of the pool. The walls and floor are then rendered and covered with a tailor made, very strong and flexible vinyl liner which can be supplied in different patterns and colours. 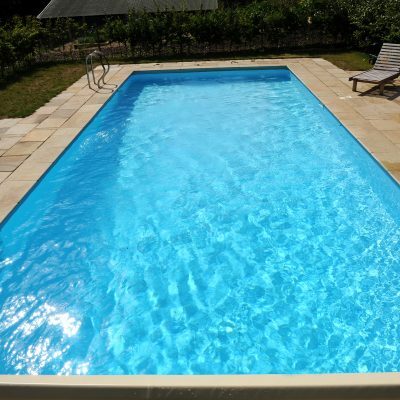 This type of pool is suited to the more competent DIY enthusiast, although different jobs can be contracted out to make it easier, such as the plastering to ensure a smooth finish. The pool is dug out either by mechanical excavator or by hand, to the dimensions given in the booklet. A concrete foundation is laid around the perimeter of the pool on which the pool walls are built. The walls are made out of 450mm x 225mm x 100mm (18” x 9” x 4”) solid concrete blocks laid to a height of 1.06m (3’6”) (9 courses laid on their side). On completion of the walls they are rendered with a thin skim of sand/cement to present a smooth face to the liner. 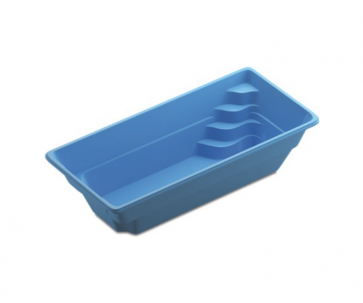 A special plastic extrusion is fitted to the top of the wall into which the pool liner is clipped. A 50mm (2”) layer of sand cement is screeded to create the pool floor. When the pool shell is complete the liner is fitted and filling can commence and copings laid. The above information is for guidance only and it is recommended the Installation Guides supplied with the kit are strictly followed. Delivery lead time for the Kit is approx. 2-3 working days*(except for the items which are made to measure which include the liner, cover & reel system). Delivery time for bespoke items is approx. 10 working days. Delivery is included to UK Mainland only (excludes Channel Islands, Highlands, Isle of Wight, Isle of Man and Northern Ireland). A WIDE RANGE OF HEATERS, COVERS + ACCESSORIES, ROLLERS AND CLEANERS ETC ARE ALSO AVAILABLE AT AN ADDITIONAL COST.